The award-winning Dana Bash is an amazing American journalist, television anchor, and chief political correspondent for CNN. Best known for her unparallel contributions since she joined the network, she has worked as a producer for different shows including Inside Politics and Late Edition, Evans & Novak. Bash has also worked for famous television networks such as CBS and NBC. The brilliant reporter has been a prominent figure in CNN covering high profile events including breaking news, the United States Presidential Primaries, Congress and election campaigns, and election coverage. Dana is an ex-wife to former CIA Chief of Staff Jeremy Bash. Let’s take a sneak peek at Dana Bash’s bio, CNN career and her separation from John King. The amazing television personality was born as Dana Ruth Schwartz in New York City in the United States on June 15, 1971. She was born to a Jewish family and was raised in Montvale, New Jersey. Her father Stu Schwartz worked as a producer for ABC News while her mother Frances Weinman Schwartz is a prolific writer as well as a Jewish studies instructor. She received high school education from Pascack Hills High School in Montvale, New Jersey and also obtained her bachelor’s degree in Political Communications from George Washington University. Dana worked as an intern at NBC, CBS, and CNN covering news on the US Senate as well as politicians. Based on her outstanding performances as an intern, Dana Bash was hired as a producer by CNN immediately after her graduation from George Washington University. She was producing live interviews with heads of state, fellow newsmakers as well as lawmakers for shows such as Late Edition with Frank Sesno, Evans & Novak, and Inside Politics Weekend with Wolf Blitzer. Subsequently, she moved to Washington-based CNN Bureau where she helps to plan and provide coverage of the State Department as well as Capitol Hill, the seat of the United States government. She covered both the Democratic and Republican presidential primaries including AI Gore and Sen. Bill Bradley in 2000. Bash was the first person to report the story of the US government’s secret intercept of AL Qaeda translations in September 2001. Her act of bravely earned her Everett McKinley Dirksen Award for Distinguished Reporting of Congress. She was CNN’s White House Correspondent during the 2008 election campaign under President George W. Bush‘s regime. She also reported breaking news such as Hurricane Katrina, the CIA leak investigation, and the US troops capturing Saddam Hussein. Bash was also part of the CNN Peabody Award-winning crew for the 2008 polls. She reported for CNN’s America’s Choice in 2012, covering both the election campaigns as well as the voting centers. She was instrumental to the network’s Grammy award-winning for election night coverage. Dana Bash covered the 2014 midterm election; she was the first to report that House Majority Leader Kevin McCarthy would not run for the post of the speaker of the house and also reported Speaker John Boehner’s final interview on his last day in the office. In 2016, during the presidential campaigns, Dana conducted interviews with Senator Ted Cruz, Bernie Sanders, and Marco Rubio. Others are Gov. John Kasich and Jeb Bush as well as the current US President Donald Trump. Currently, she is the chief political correspondent of Washington-based CNN. Her portfolio covers reporting from the US House of Representatives and the Senate as well as moderating town hall specials among others. Dana Bash is gorgeous with an attractive personality which can melt the heart of any man that crosses her path. She has been married twice and also divorced twice till date. She got married to the former CIA Chief of Staff named Jeremy Bash in 1998. Their marriage lasted for nine years and in 2007, the couple went their separate ways. However, issues that led to their divorce have not been revealed by both parties. After their divorce, Jeremy later married the Vice President of the American Hospital Association named Robyn Bash. Dana and Jeremy didn’t have any kids from the marriage. Bash’s second marriage was with a fellow CNN correspondent and anchor named John King. John is the host of the show titled John King USA and was born a Roman Catholic. Prior to the wedding, John converted to Judaism before marrying Bash and the couple tied the knot in Cape Cod in May 2008. Three years later, they welcomed a son named Jonah Frank King in 2011 and their marriage ended the following year. It was Dana and King’s second marriage respectively. Just a few months after the birth of their son Jonah, the couple parted ways based on issues of infidelity. They started living separately until their divorce process was finalized in 2012. After their divorce, the duo got equal custody of their son. Jonah is Dana’s first child and the third child of John King; he had two children, a son and a daughter from his previous marriage. The duo still works together and they both appear on the same shows to date. Furthermore, Dana Bash has been in a relationship with the famous American actor Spencer Garrett Heckenkamp since 2013. The duo is often seen together and Dana has posted several pictures with Garrett on her social media handles. She currently resides in Northwest D. C. with her son. Salary – How Much Does She Earn and What Is Her Net Worth? The amazing journalist has put up excellent performance since the inception of her journalism career. She is currently earning a substantial amount from CNN which has contributed to her huge net worth. However, her net salary has not been disclosed to the media yet but judging by her input in the media industry over the years and her current post as the congressional correspondent, her salary will be running between Hundreds of thousands of dollars and millions. Her current net worth is around $2 million. Additionally, she appeared on Elle magazine’s Women in Washington Power List in 2014. 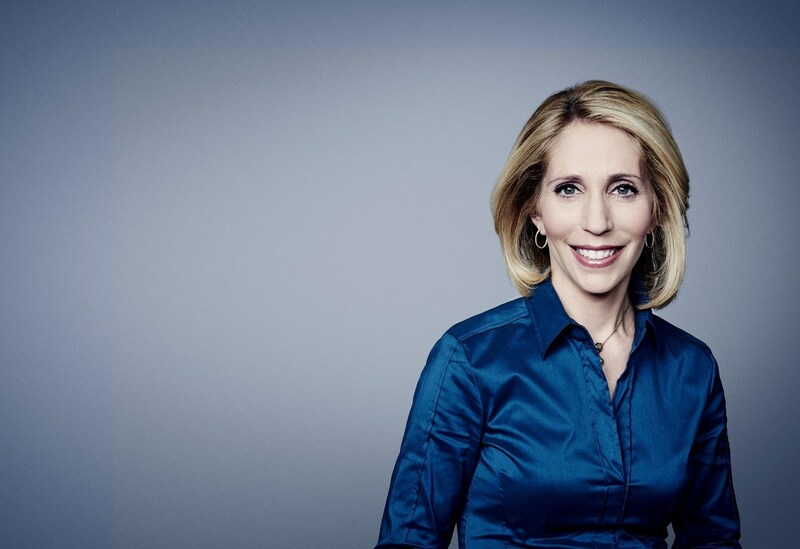 You can connect with Dana Bash on social media platforms like Twitter @DanaBashCNN and Instagram @danabashcnn.